Below Video: Short Graduation Video clips of Apostolic Biblical Theological Seminary (ABTS) Ninth Graduation Exercise -17th December 2015,ABTS Tenth Graduation Exercise -17th December 2016 and Current ABTS regular students Praise and worship. 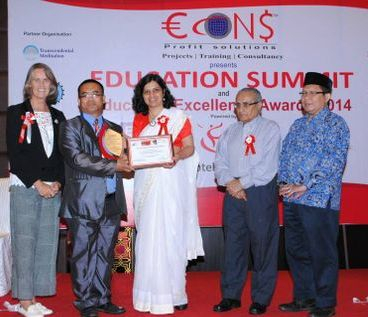 ( ABTS India, receives 2014,Econs Education Excellence Award in Value Education). (Below video clips- ABTS Tenth Graduation Exercise of 17th December 2016- Part 1 to 5). ABTS NEW DELHI- WHERE BIBLE IS THE TEXT BOOK! TEACH APOSTOLIC TRUTH. LOVE WELL. Equipping God's Servants for the Church & Kingdom of our Lord Jesus Christ! We believe that the best way to prepare for a lifetime of ministry is to study all 66 books of the Bible systematically and biblically, and continually reminding ourselves that, “The goal of our instruction is love.” (1 Timothy 1:5). Apostolic Fundamental theological training institute and seminary, founded upon the Apostle's doctrine. We are committed to assist Christian local Churches by training men and women for ministry with an emphasis on sound Bible Exposition, Christ-likeness and Local Church Ministry. ADMISSIONS ARE OPEN FOR RESIDENTIAL, NON RESIDENTIAL & CORRESPONDENCE/ INTERNET/DISTANT EDUCATION PROGRAMMES. The Apostolic Biblical Theological Seminary (ABTS) India, is open to all Christians of good moral character. We are happy to instruct and train God’s Children regardless of: Race, Nationality, Color, Cultural profile, Denominational background, Class, Gender, Economic status, or Ethnic Origin. Every student is admitted to the same educational programs, rights, privileges, and honors. Welcome to Apostolic Biblical Theological Seminary (ABTS) New Delhi,India, is an Independent (Autonomous) Apostolic Seminary, exists for the sole purpose of preparing followers of Jesus Christ for Christian Ministry and to train train men and women for the church and Kingdom of our Lord Jesus Christ. ABTS New Delhi,India, have been preparing men and women to serve God in ministries marked by competence, integrity, and Christian scholarship. We exist to defend scholarship against false notions, accentuate the art and science of biblical interpretation and to produce Biblically competent disciples of Jesus Christ. ABTS (New Delhi) is not just a bible college or seminary; we are a resource for learning and understanding the word of God in practical matters. The term "Apostolic" in our name simply means, "Pertaining to the teachings of the Apostles". We believe everything that Jesus preached, taught and revealed in the scriptures by them. The theology of ABTS is free of denominational creeds and dogmas. This approach exposes students to a wide variety of religious sciences in their quest for the truth of God's word. If you would like to begin your degree studies, answer your call from God or simply grow stronger and more efficient in the faith of our Lord Jesus Christ, Apostolic Biblical Theological Seminary (ABTS) New Delhi will enlighten, inspire and challenge you until you've reached your fullest potential. With convenient on Class room bible training and distance learning options, ABTS is right for anyone who is seeking, The Apostolic Christian faith and biblical training for self-improvement as well as personal and spiritual enlightenment. Please pray with us that we may be found faithful in handling God's riches. By the grace of God, ABTS, New Delhi has experienced God's marvelous protection, provision and blessing. We look forward to the future with confidence, knowing that "He who began a good work in us will perfect it until the day of Christ Jesus" (Philippians 1: 6). We hope you will give us the privilege of helping you develop your gifts, abilities, and love for Christ. Bishop Dr. Paogin Mangte, ThD.,PhD ( Theology). New Delhi,India and Oneness Apostolic Pentecostal Church International (OAPCI). (A ward winner of MOTHER TERESA EXCELLENCE AWARD -2013). (RASHTRA PRATIBHA PURASKAR NATIONAL LEVEL AWARD WINNER-2014). ( A ward winner of "Noble Son of India award" 2014). ( Dr. P. Mangte is an Eminent Christian Scholar ( Theology Educationist), Theologian, Bible Teacher, Oneness Apostolic Preacher- Pastor, and Social Worker. He is a Recipient of Multiple National & International Level Award Winners, such as " Mother Teresa Excellence Award"(2013), " Noble Son of India" ( 2014), " Pratibha Puraskar National Award" (2014) ; " Global Achiever's Award" (2014) ,etc! OF O.A.P.C.I. New Delhi, India and etc! ABTS NEW DELHI INDIA, DOES NOT OFFER SCHOLARSHIP. 1.BISHOP DR. PAOGIN MANGTE, BA.,BTh.,M.Min.,MTh.,ThD.,DD.,PhD (Theology). (Founder-President/ABTS New Delhi & OAPCI) Dept of Systematic Theology, Professor of Bible Exposition, Systematic Theology,Biblical Theology,Apologetic. 2.Professor.Phozii, BTh.,BD (Serampore,BD).,MTh, (Currently Pursuing PhD in Pastoral Theology at ABTS). Faculty of Pastoral Theology, History, Geography & Seminary Warden & Chaplain. 3.Professor. Khaimuansang Shoute ,BTh.,BD.,MDiv.,MTh,Faculty Dept of New Testament Studies & Greek Exegesis. 4.Professor.Dr.L.angsun Ngamjathang Mate, BA.,MA.,BD.,MTh.,PhD -Adjunct Faculty, Christian Education,Ethics & Church History ( ABTS Member). 5.Mrs.Jenny Mangte,BMin, Co-Founder,Staff/Administration-General Secretary/Business Manager. 6.Professor. Robert Baxter, BTh.,BD.,MDiv.,MTh ( From BBBC&S Bangalore)- Old Testament Theology & Hebrew. 7.Mrs.Maria Mangte,BA.,MA.,MBA., (Executive Board member),English Language,Soft Skills Trainer. 8.Professor. Heli Aimol , BTh.,MDiv.,MTh., Faculty of New Testament Theology &Christian Missions. 9. Sister.Chongboi Haokip, BTh., MDiv, Staff of ABTS New Delhi. 10. Brother.Thangkhoson Mate, Office boy ( Currently pursuing BTh degree program at ABTS New Delhi). DR DENIS G BEEDIE FROM LONDON UK, RECEIVED A DOCTOR OF SACRED THEOLOGY DEGREE FROM DR PAOGIN MANGTE (PRESIDENT/ FOUNDER OF ABTS & OAPCI) ON 17TH DECEMBER 2015. The following diplomas & degrees were awarded this year on 17th DECEMBER 2015. List of Graduation Students-on 17th December 2015 during ABTS NINTH GRADUATION EXERCISE. The burden of evangelizing the teeming millions of India is the responsibility and privilege of Christian men and women. ABTS NEW DELHI is designed and equipped to train youth,men and women to fulfill this awesome task. 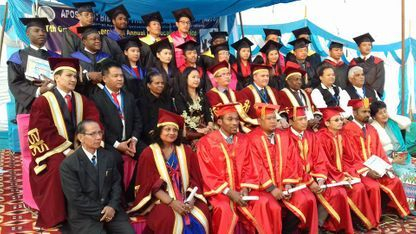 By the grace of God, today most of graduates of ABTS, scattered throughout India, Burma, Africa, Middle-East and Canada, USA, etc......are fully engaged in the service of the Church as Pastors, Evangelists, Bible Teachers, Educators and Christian Leaders in various capacities, bear eloquent testimony to the relevance of this ministry and God’s grace upon it. The Apostolic Biblical Theological Seminary (ABTS) seeks to be instrumental in God’s hand in calling the Church back to the Bible as God’s Word and to the Gospel as its mission to the world. Praise the LORD! The Following all graduates students have been trained systematically and thoroughly in the sound biblical apostolic doctrine and word of our Lord Jesus Christ. 1. Hrin Nei Thian- OAPCI Church Delhi. 1. Tluang Nei Sang- Zanniat Christian Fellowship, Evangelist, New Delhi. 2. Tluang Te—Matupi Baptist Church, New Delhi. 1. Robin Biswakarma—Apostolic church from West Bengal,. 2. Aik kan Hawi--- Khumi Christian Fellowship, Delhi. 3. Khai Ta- Zion Zomi Baptist Church. 1. Helut Singsit—United Pentecostal Church of Tuibuang, Manipur. 2. Zubeno Ennio--- From Chandigarh,Punjab, member of OAPCI. 3. KR. PHUNGREISHING (Tangkhul Naga) from Indonesia ( absentia). 2. Ram Do Pui----- Church elder from Oneness apostolic church-OAPCI, New Delhi. 3. B. Maung Hlah—Senior Pastor of Matupi Baptist Church. 4. Nesaline Jebamathy Dellus—Senior Pastor of Yahoshua Christian Fellowship (Oneness), Gurgaon. 5. Han Tai (Honaris Causa)—Church elder from Matupi Baptist Church, Delhi. 6. Pastor John Yadav—Pastor from Chandigard,Punjab, a member of OAPCI). 7. Nungchim Jackson Moyon—From Moyon Naga Baptist Church. 8. Man Ngaih Sian—member of Zomi Delhi Church, Vikaspuri. 1. Paran Narzary—from Bodoland, Assam. 2. Sian Zung Thang—Livingfaith Baptist Church, New Delhi. 3. Ro Ling Sang--- Zotung Christian Fellowship, New Delhi. 4. S. D. Loveson Chiru—from Chiru Baptist Church, Manipur. 5. Maung Tu—Pastor of Agape Baptist Church Pastor, New Delhi. 6. David zacung—Evangelist from Zanniat Christian Fellowship, New Delhi. 7. Lian Hmung---Matupi Baptist Church, New Delhi. 8. Telvum Ngamboi (Thongkhongam) Haokip- from Manipur ( absentia). Previous degree: BTh degree from Gospel for Asia Bible College and Seminary, Kerala. 2. Seijapao Doungel—Kuki Baptist Convention, Manipur---ACADEMIC MTH. Previous degree: BTh,BD.,MDiv degrees from Peoples Baptist Bible College and Seminary, Kerala. 3. Let Za Ngam—Assembly of God, Burma.----ACADEMIC MTH. Previous degree: MDiv degree from Logos Bible College, Dimapur Nagaland. • MRE from Apostolic Biblical Theological Seminary, New Delhi. Previous degree: BTh & MDiv degrees from Grace Bible College Gurgaon and Cohen Theological Seminary, USA extension in India. 7. Previous degree: BTh & MDiv degrees from Grace Bible College Gurgaon and Cohen Theological Seminary, USA extension in India. 8. Gin Sian Sang--- Zomi Delhi Church, New Delhi--------ACADEMIC MTH. • MDiv degree from ABTS New Delhi. Dr.Denis G. Beedie— From London,UK. Pastor Dellus James--- Yahoshua (Oneness) Fellowship Church, Gurgaon. Dr.Noami-- from OAPCI Church Delhi & retired headmistress from Burma. Rev.Zakiuva-----Retired Pastor from Wesleyn Methodist Church, Burma & Pastor of The Truth Fellowship Church New Delhi. Rev. Rosiama Ralte--- Retired UPCI Pastor from Burma. Rev.Daniel Darlong--- UPCI Senior Pastor from Kolkata, West Bengal. Sis, Lal rin Thar--- From Livingfaith Baptist Church, Vikaspuri. Langsun Ngamjathang Mate--From Mate Christian Fellowship Church. Elder R. Gaizon--- From Zeliangrong Baptist Church, Manipur. Bro.Macharias Riamei—From Zeliangrong Baptist, Manipur. (Previous degree: MTh degree from Bharat Baptist Bible College, Hyderabad, AP.). 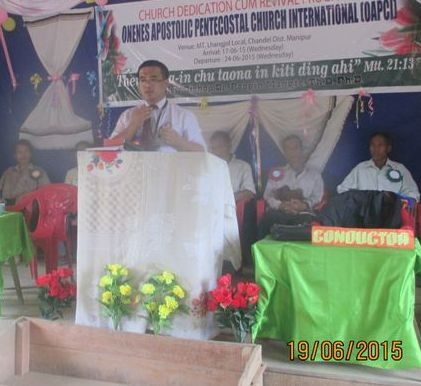 Pastor R. Z. Phozii—from Poumai Naga Baptist Church, Manipur. Evangelist .Joshua Hrang Lian kap—From UPC Janakpuri. Rev.Ravin Wilson- Founder & General Secretary of Assembly of New Life Mission Church, India. Rev. Isu Jung Karki, from Kathmandu,Nepal ( Oneness Pastor). Mrs. Radeeka Mendis, from Colombo, Sri Lanka ( absentia). 2. Lian Mang---- OAPCI. ( Oneness apostolic). 1. Cin Ngaih Thang : Certificate Ordination/ Consecration. 7. Sanjeev Masih Certificate of Ordination/ Consecration)- absentia. Note: We have many more graduates in the year 2015, through correspondence and Internet from most parts of the world. Admissions open for the academic year 2016-17. Apostolic Biblical Theological Seminary (ABTS)India is based at the Capital City of India, New Delhi, having students worldwide. SUBJECTS TAUGHT IN APOSTOLIC BIBLICAL THEOLOGICAL SEMINARY (ABTS)NEW DELHI,INDIA. Students enrolled in the Apostolic Biblical Theological Seminary (ABTS), be it residential students, Non-residential Students, day Scholars, external or correspondence programs students, they will receive the best- based Christian Biblical Courses on a wide variety of subjects, enabling every student to properly divide the Word of God,And be more effective in the work of God. Needless to say, ABTS curriculum's is absolute BIBLE CENTERED & CHRIST CENTERED- We also emphasize studying the Bible in its original languages- especially in GREEK & HEBREW LANGUAGES! Finely honed skills in biblical languages are central to all our Theology degrees programmes! Our Theology degrees programmes will provide you with expert, in-depth study of the Hebrew Old Testament and Greek New Testaments studies. Every student gets an opportunity to get deeply involved in the study of each book, chapter, verse, keywords, phrases, prepositions, etc.., of each verse so that the development of exegetical and expositional skills become a natural concomitant of an in-depth training system. The study of the original languages such as Greek & Hebrew is compulsory in all our Theology degree course programs such as BTh.,BD.,MDiv.,MTh, and study of the original languages, further enables our students in their course programs to gain exegetical skills basic to their own independent, inductive examination of the written Word. Besides the emphasis on Bible Expository and Exegetical study of the 66 books of the Bible and all major branches of systematic theology & Biblical Theology, the curriculum outlines extensive work in the disciplines of ministries, Christian education, outreach and church growth, homiletics, pastoral work, counseling and field education through churches. ABTS curriculum's have been developed so as to provide the student with a well- rounded Course of study designed to equip students to fulfill the essential Responsibilities of a pastor, Bible Teacher, evangelist, and church leader. OUR GOALS & MINISTRIES OF ABTS NEW DELHI INDIA. The aim of Apostolic Biblical Theological Seminary (ABTS) New Delhi,India is to produce Christian Leaders, Pastors,Evangelists, Teachers, and Soul winners for our Lord Jesus Christ and to establish them in sound Apostolic Christian Faith. The ABTS Institution also endeavors by God's grace and enablement to help organize and establish Apostolic Bible believing, Soul winning local churches for the glory of God. We also thank the LORD that thus far He has helped us establish home churches and few Apostolic Bible Believing local churches that are located in Delhi, Indo-Burma(Myanmar) border Area in Manipur state. Now we are aiming, to reach all parts of India, and all the neighboring countries of India, such as Myanmar (Burma), Nepal, Bhutan, Bangladesh, Sri Lanka, Thailand, etc, with the Love and Gospel of our Lord Jesus Christ. Here at, ABTS New Delhi, we are committed in carrying out the Great C omission to take the true Gospel of our Lord Jesus Christ to the uttermost parts of the Earth. Hence, we seek to invest our energies and resources to Prepare Servant leaders for the cause of Christ in India and its neighboring, surrounding countries. We have a vision,the vision of a vast harvest field and the need of many more laborers to bring in the harvest. ABOUT OUR DIRECTOR/FOUNDER PRESIDENT OF ABTS NEWDELHI,INDIA. Dr. Paogin Mangte,ThD.,PhD, Founder and President of Apostolic Biblical Theological Seminary (ABTS) New Delhi India & OAPCI church in India,is probably, one of the most well-known, Oneness Apostolic Theologian,Preacher in India and Myanmar, extending his reputation both at home and abroad. In 2013, December 15, Dr. Paogin Mangte, was Honored with "Mother Teresa Excellence Award" in Bangalore,Karnataka, India. Again in 2014, he was Honored with two National level awards " Noble Son of India Award", " Pratibha Puraskar Award" in Kolkata City, West Bengal, India. The Awards were conferred to him by the ‘Integrated Council for Socio-Economic Progress’ in recognition of his outstanding achievements and noble contribution towards the overall progress of society in India. He is also a recipient of The "Bharat Excellence Award", "Rashtrya Ratan Award withGOLD MEDAL" (along with Certificate of Excellence & Certificate of Felicitation), and ABTS New Delhi, Seminary was awarded the "Indian Excellence Award"( with Prestigious Trophy & Certificate of Excellence) and all the awards was presented to Bishop Dr.Paogin Mangte ( Founder/President of ABTS New Delhi & OAPCI) by by Shri. T.S. Krishnamurthy ( Former Chief Election Comissioner of India- Govt of India). These Honors and awards have been instituted for people in recognition of their outstanding achievements, excellent performance in selected activities. Bro. Paogin Mangte,ThD,PhD, was formerly, a Baptist church Evangelist and Bible Teacher,having been educated in Fundamental Baptist Bible Colleges and Evangelical Bible Seminaries, has worked with Antioch Seminary (Evangelical Seminary) in Guwahati, Assam, as Professor. He was also a former church member of UPCI (NEI) India, and has worked as a full time Missionary, appointed Licensed Minister Missionary with a United Pentecostal Church International (UPCI) of North East India (UPCI-NEI), stayed in Shillong, Meghlaya,India, and worked as UPCI Licensed Missionary-Evangelist (Full Time Licensed Minister) in Guwahati City, Assam for four years. He have ministered Bible Camp, Bible Crusades, Bible Conferences in India, mostly in North Eastern parts of India, in, Assam State,Nagaland State, Mizoram State, Manipur State, Indo-Burma border Area in Manipur and inside Burma (Myanmar);During his extensive evangelistic ministries, in various places, many people were healed, baptized in the name of Jesus Christ (Acts 2:38), he has baptized ( immersion) over more than one thousand people already in the name of Jesus Christ (Acts 2:38), he also baptized more than thirty Ordained Ministers, Pastors, Evangelists, including some retired Pastors from different denomination churches from India, and by the power God, many people had received Holy Spirit baptism with the evidences of Speaking in Tongues! Some of Bro Mangte, past Ministries Involvement includes: As Bible Conference Guest Speaker, Conference Speaker, Bible Seminar Resource Person. UPCI (NEI) District Level LAD Conference Speaker (2002) in Manipur , UPCI (NEI) Kangpokpi Section Conference Speaker (2001), Summer Bible camp Speaker, Drug Addicted Bible Camp and Crusade Speaker ( Athibung Town, Nagaland State in 2003-04), Sunday School Bible Teacher, had teaching experience in other Bible Seminary as Theology Professor, as Evangelist, Missionary, and Bible Teacher, has traveled extensively to speak in Various churches in all over India and even Conducted ABTS New Delhi, DMiss Graduation Ceremony in Kalaymyo City in January 2015, inside Myanmar (Burma). Till date, he has conferred more than five Hundred people with Bible Diploma's and Theological degrees in different discipline's, field, and through the ABTS New Delhi Ministries Inc/OAPCI Ministries , he has conferred, ordained more than thirty people with Apostolic Christian Ordination Licensed. Bro. Mangte, is well known Oneness Apostolic Bible Teacher,Theologian,Pastor and Preacher, especially among Apostolic movement in India and Worldwide Apostolic movement, and is the Founder and President of ABTS New Delhi India & Founder/Bishop/Overseer of the Oneness Apostolic Pentecostal Church International (OAPCI). Bishop Dr. Paogin Mangte is an Eminent Oneness Apostolic Pentecostal,Christian Scholar ( Christian Educationist), Spiritual Philosopher, Inspirational Speaker, Christian Writer, Theologian, Oneness Apostolic Bible Teacher, Full time Pastor (OAPCI), and Social Worker. He is also a recipient of Multiple National & International Level- Awards Winner, such as " Mother Teresa Excellence Award"(2013), " Noble Son of India" ( 2014), " Pratibha Puraskar National Award" (2014) ; " Global Achiever's Award" (2014), etc! THE APOSTOLIC BIBLICAL THEOLOGICAL SEMINARY (ABTS) NEW DELHI—GETS ECONS EDUCATION EXCELLENCE AWARD-2014!! (The Apostolic Biblical Theological Seminary was presented with the education award for 'Outstanding Practice in Christian Education’). It gives us an immense pleasure to inform you all that our Seminary,The Apostolic Biblical Theological Seminary (ABTS) New Delhi, has been awarded with the ECONS Education Excellence Award, in the category of VALUE EDUCATION PROGRAMS- EDUCATION EXCELLENCE AWARD--At Econs International Education Summit 2014,Which was held on 26th April 2014 –in Crowne Plaza (a five star HOTEL), Rohini, New Delhi. 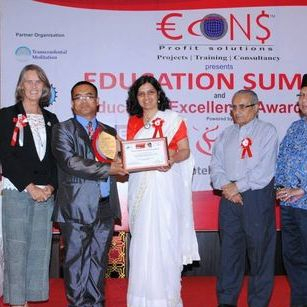 Econs, a premier educational organisation under the aegis of Matrasharnam Welfare Society hosted Education Excellence Summit and Awards 2014. Simultaneously, the esteemed organisation launched the prestigious,Confederation of Education Excellence on 26th April 2014 at Hotel Crowne Plaza( a FIVE STAR HOTEL) Rohini, New Delhi. The novel venture was an initiative to enhance the quality of education and provide assistance in every respect to educational institutions, colleges, universities and individuals under one roof .with an endeavour to gain and credit in world of education, An Education Summit was organised wherein an estimated 180 application were submitted out of which 40 submissions reached the final stage of qualification. The Education International Summit Excellence Award ceremony was a glittering ceremony that was graced by Dr. P.L Kadal Baju (Ex. Joint Registrar Delhi University). Ms. Angela Ffrench (Director of Operations, South and South East Asia). Mr. Son Kuswadi (Education Attache Indonesia Embassy, Delhi) who conferred tokens of appreciation to heads of esteemed universities, colleges, institutions and schools excellence in education awards. The “Apostolic Biblical Theological Seminary (ABTS) New Delhi” was conferred the “Education of Excellence award in the category of VALUE EDUCATION PROGRAMS IN HIGHER EDUCATION"- EDUCATION EXCELLENCE AWARD-2014. The Education Excellence award was presented to Bishop Dr Paogin Mangte( Founder/Director/President of ABTS New Delhi) by Ms Angela FFrench , Director operations , south east Asia ,Cambridge English language assessment United Kingdom; Prof. K.N Tripathi ,Vice Chancellor of K.R Mangalam University, Mr Son Kuswadi Education Attaché ‘ Indonesian Embassy ,Delhi , and MR Saket modi CEO, lucideus technology private LTD Delhi. Praise the Lord! Thank you for your immense support and prayer for ABTS ministries in India. We sincerely hope that you will pray for our seminary -ABTS New Delhi, As the song says "It is no secret what God can do!" 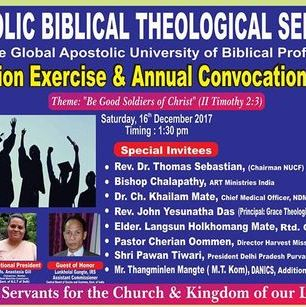 This is your seminary and mine, so please join us and many others with your strong support and above all your fervent prayers for Apostolic Biblical Theological Seminary (ABTS) New Delhi and its ministries! Together we can make a difference and keep a Christian Education very visible and achievable in south Asia! We sincerely covet your prayer support! "Not unto us, O Lord, not unto us, but unto thy name give glory, for thy mercy, and for thy truth’s sake" (Psalms 115:1). (General Secretary/Business Manager-ABTS New Delhi). BRIEF HISTORY OF ABTS NEW DELHI,INDIA. 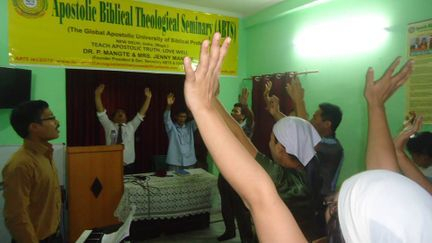 Apostolic Biblical Theological Seminary (Formerly simply known as ATS New Delhi India),was established in the year of 2008 to equip young people, men and women for the ministry of the Church and Kingdom of our Lord Jesus Christ by Bishop Dr. Paogin Mangte and his wife Mrs. Jenny Mangte ( General Secretary of ABTS & OAPCI Ministries) who served four years in the United Pentecostal Church of North East india (UPCI) as Full Time Missionary to Guwahati Assam in North East India and while Bro Paogin Mangte was serving the LORD as a Missionary with UPCI church in India,he have received a called from God to start his own ministry and Theological Seminary, with that vision, he started the Oneness Apostolic Pentecostal Church International (OAPCI) church and ABTS Bible college in 2008 . Bishop Dr Paogin Mangte (Founder and President of ABTS & OAPCI ),first felt the call of God after he got saved according to Acts 2:38 New Testament plan of Salvation in the year 1997, during his Theological Seminary training days, he strongly felt the called of God in Apostolic Movement, hence he was baptized in Jesus name in 1997 at Dimapur Nagaland State, in North East of India. 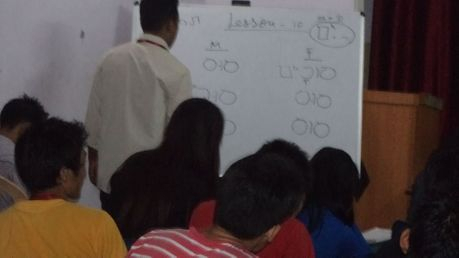 However it was during he worked as Full time appointed Missionary in Shillong and in Guwahati Assam, Bro Mangte, strongly felt led by the Lord, to start an Independent Oneness Apostolic Ministries and Bible college that would impart Sound apostolic doctrine and quality training to students to become effective leaders and win souls for our Lord Jesus Christ. With a vision to train future pastors and leaders to reach such a vast multitude of humanity destined for eternal condemnation, the idea itself was overwhelming.However, with much prayer and leading of the Lord, Apostolic Biblical Theological Seminary (ABTS) and OAPCI ministries was founded in the year 2008, with only 9 regular students in a small rented House. This was a huge step of faith for him and his family. The ABTS College, is interdenominational, Independent Oneness Apostolic Institution and started with a few students with strong faith without any sources, however, students are increasing year by years by the grace of God which shows that the College is growing rapidly and vision laid on a new foundation. Truly speaking, The ABTS Bible College, is a concept of Christian development aiming at rising up self- supporting witnesses. ABTS Institute is for all those who want the learn the true Apostolic Faith , true Christian doctrine and for those who have great zeal to spread the Gospel to others. 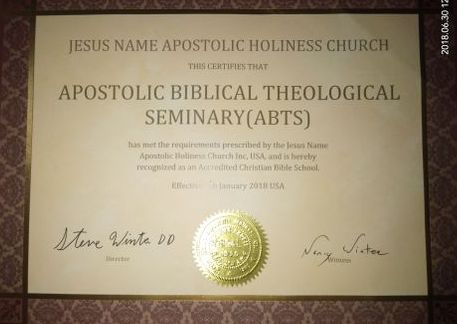 Hence, the ABTS New Delhi, exists for the sole purpose of preparing followers of Jesus Christ for Christian Ministry and to train train men and women for the church and Kingdom of our Lord Jesus Christ.We truly, exist to defend scholarship against false notions, accentuate the art and science of biblical interpretation and to produce Biblically competent disciples of Jesus Christ. ABTS (New Delhi) is not just a bible college or seminary; we are a resource for learning and understanding the word of God in practical matters. Needless to say, Theological training needs to have a solid goal. We are interested in developing people who will go into real life situations rather than only seek after the security of traditional patterns of ministry. We want to learn to glorify God in work as well as in worship so that together they will constitute an effective witness. ABTS New Delhi, India has received regular students each year from the different parts of Countries from Myanmar, Bangladesh and most parts of India. 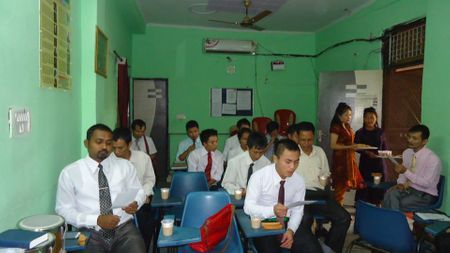 Since 2008, the ABTS New Delhi, Bible College had regular and correspondence students coming from different Christian denominations like Presbyterian Church, Baptist Church, United Pentecostal Church (UPCI) , Church of Jesus Christ, Seven day Adventist Church, Assemblies of God Church, Fundamental Baptist churches, Evangelical Church,etc,. 3. Plot- land and construct building for our ABTS Bible College campus. 6. Church Planting - To established Apostolic churches (OAPCI) AND to reach More and more states of India and to reach all neighboring Countries of India, such as Myanmar (Burma), Nepal, Bangladesh. Since 2008, Our Director Dr Paogin Mangte, have been engaged in Mission works in Indo- Burma Border Area, in Manipur state, and inside Myanmar Mission work.. So far, he had established several Apostolic churches In Burma Border area in Manipur state. since 2008, our Director is actively involved in Mission work, every year during, ABTS New Delhi, summer and winter breaks, our Director, engaged himself in mission work in North East India states and In Indo- Burma Border area in Manipur state. Currently, ABTS New Delhi, institution supports Apostolic (OAPCI) local churches in Manipur state ( Near Burma Border), and by the power of God, ABTS New Delhi Ministries, have reached many souls with the love and true Gospel of our Lord Jesus Christ! Now, We are aiming for a huge campus and building where we can put around 200 to 300 students in a year along with staff quarters, with this regard we are straight-out our hands to the people those who can initiate in the funds. We are also aiming to establish more and more churches remote tribal area in Indo- Burma border area and in all over india. so keep praying for us and required funds! .Pray and support ABTS Ministries, College family and students so that we might be able to train more and more men and women and young people to serve the Lord Jesus in their respected areas meaningful way. What Makes ABTS New Delhi Unique? There are four areas which we think make us Unique. 1. BIBLE EXPOSITION - We believe that the Bible properly taught and applied, is the foundation and superstructure of any God-honoring ministry. As a result we emphasize both systematic Bible exposition based on original languages (Greek & Hebrew), and culturally relevant application based upon the exegesis of the Scripture. 2. CHRIST-LIKENESS - Mere knowledge of God's Word leads to pride, hypocrisy and legalism. We are concerned that our students not only learn God's Word, but that they learn to obey and grow in Christ-likeness. A key component of building up our students into Christ- likeness is our student-professor relationships by which we seek to set examples for the students and impart to them not only our teaching, but also our lives. 3. LOCAL CHURCH MINISTRY - We believe that the church is the only institution set up by Christ to accomplish His purpose on earth. As a result, we have a strong emphasis on local church ministry. All our faculty members, has a passion for and experience in local church ministry. Our desire as a seminary is to assist the local churches of the Whole World. 4. NON-DENOMINATIONAL APPROACH OF BIBLE STUDY- The term “Apostolic" in our name simply means, "Pertaining to the teachings of the Apostles". We believe everything that Jesus preached, taught and revealed in the scriptures by them. The theology of ABTS is free of denominational creeds and dogmas. This approach exposes bible students to a wide variety of religious sciences in their quest for the truth of God's word. We believe, when a person lays everything aside denominational creeds, dogmas and independently studies the Word of God without all the preconceived ideas, opinions, denominational, religious creeds, traditions, etc., God will unfold His Glorious Truth in its entirety to them. 1. We value the authority of Scripture, the inspiration of the Bible and its authority over every aspect of life. We believe that the truth is absolute and that it is inerrantly recorded in the Holy Scriptures (KJV). The sixty-six books of the Christian Protestant Bible are our authority. We read them at face value and apply them to our lives as individuals and as an institution. The authority of Scripture is our primary value (2Timothy 3:16-17). 2. We value the supremacy of Jesus Christ. Because Jesus is God (John 1:3; John 20:28), we are committed to knowing, worshiping, and following Him, our resurrected King, our God and Savior. We are equally committed to the supremacy of His purpose to disciple the nations. Jesus Christ Himself is the truth; He is the standard and value of all things (Colossians 1:17; 3:1-17; Hebrews 13:8). Our curriculum, policies, and programs of study reflect the Supremacy of Jesus Christ (Col 2:9-10). 3. We value educational integrity. Because we are committed to the authority of Scripture, we also are committed to do all things for God’s glory. 4. We value Expository preaching and teaching, spiritual formational, active participation in the ministry of the local church and cultural engagement. 1. To develop men and women who are able to effectively evangelize those who do not know Jesus Christ, and who are prepared to disciple saints through their teaching, counseling and caring. 2. To serve as a scholarly resource for the exploration and proclamation of the Christian faith. 3. To proactively explore the needs of an ever-changing world, working to develop innovative ministries that effectively proclaim the gospel of our Lord Jesus, while preserving apostolic doctrine and practice for future generations. 4. To provide Continuing Education for Pastors, Evangelists, Bible Teachers and Christian Leaders. 5. To Equip Professionals, Businessmen/women & Lay Leaders for Christian Ministry. 6. To impart Revelation, the knowledge of God’s Word and the hidden wisdom of God. Hence, we is designed to train men and women for positions within the ministry. Classes will be challenging and exciting. Each course is specifically designed to give the student a piece of what is necessary for the overall ministry. By the time a student graduates, he or she will have received all of the necessary preparation and information to begin work in the ministry. 7. To motivate students to develop genuine patriotic spirit, a sincere love for this great Country India and its people, with exemplary Christian Character. They will continually be encouraged towards harmonious and peaceful living with all communities in our beloved country. We believe that the Church of our Lord Jesus Christ- The Apostolic Church is the God-ordained institution for educating its members. Though seminaries have replaced this function of the Church for some time now, we seek to adhere to the biblical principle of Church-Bible centered Education. Because of this ABTS New Delhi, does not view itself as a separate institution from the local church, but rather as a resource for the local churches to use in equipping the saints for the work in ministry (Eph 4:11-12). The ABTS New Delhi, Seminary has only one clear purpose: to train, lead to and motivate nationals in the word God to win souls, make disciples and mature the saints by planting Christian churches. Apostolic Biblical Theological Seminary (ABTS) New Delhi,India- is an Independent, Oneness Pentecostal, Conservative-Fundamental Apostolic Oneness Bible Seminary, that is built on Sound Apostolic Biblical doctrines and principles. We are not a contemporary modern church and liberal modernist school, neither do we seek to become one. We do not seek after the latest trends or chase after the latest wind of doctrine. Rather, we contend that if the book of Acts ( In the Bible) was a good formula for church building in a past generation, it is still good enough for today. We are satisfied that the message and method is still the same. Apostolic Biblical Theological Seminary (ABTS) New Delhi,India is an Independent, Oneness Apostolic Fundamental, Pentecostal, Conservative Bible college . We are proud of our Oneness Apostolic distinctive and ABTS New Delhi is STRICTLY A "ONENESS" APOSTOLIC Seminary ( The Global Apostolic University of Biblical Professionalism). WE SERVE A ONE GOD, WHO IS/WAS MANIFESTED IN THE FORM OF A HUMAN, THAT BEING JESUS CHRIST OUR LORD- I Timothy 3:16; John 1:3,10,Col 2:9-10! We are an Independent Oneness Apostolic Evangelistic fundamental Seminary,because we hold true to the Apostolic Fundamental Biblical doctrines and practices clearly taught in the Word of God. We refuse to change and compromise, Apostolic truth because of the pressure applied from the world and modernists. We opposed to all modern liberalism,ecumenicalism and so- called ecumenicalism movement, and any attempt to water-down and pervert what “Thus saith the LORD.” The King James Version is the only English-language Bible that is used in all our Bible classes. ABTS New Delhi,India- is Evangelistic, hence. we believe that soul winning is near the heart of God. All our teachers and students are expected to go for soul winning ministries, for a minimum of three or four hours per month, all our teachers and students are expected be souls winners for our Lord Jesus ! On-campus our residential ABTS New Delhi students and all staff members must participate in the ministries of OAPCI church on every Sunday worship Services and activities. Christian service of all residential students (such as teaching children on Sunday school classes or participating in the music, outreach ministries etc).Many of our faculty and staff have been in ministry for a number of years. They have also been involved in a number of ministries: pastoral, men's ministry, women ministry, children's ministry, youth ministry, music ministry and Christian counseling ministries. We believe in Christian- Christ like character and discipline. Absolutely no drinking, smoking, dancing, card-playing, movie-going or other questionable activities are allowed. We take a strong stand against modernism and apostasy. The mission of Apostolic Biblical Theological Seminary (ABTS) New Delhi,India, is to glorify God by providing an intensive Bible-theological education within the context of unchanging Apostolic biblical truths. Our goal is to fully train students to edify believers, evangelize unbelievers and disciple future generations for the cause of Jesus Christ through a lifetime of volunteer and vocational church-related ministry. 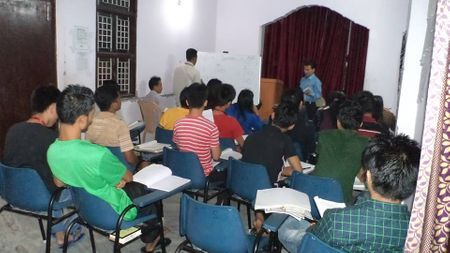 The Apostolic Biblical Theological Seminary (ABTS) New Delhi,India, will assist all Christian local churches by nurturing students for effective Christian ministry by emphasizing sound biblical exposition and growth in Christ-likeness which will encourage faithful men towards pastoral ministries. ATS New Delhi, wishes to Recognize /Motivate outstanding Servants of God (both the Clergy and the Laity) by awarding Honorary Doctorates. Convocation ceremonies will be conducted in December of every year in which both regular, correspondence students and Honorary degree recipients, can graduate on completion of all the requirements. If Correspondence graduates students and Honorary doctorate degree recipients, if they, are unable to participate, then they can receive the Degree Certificate by in absentia. After completing all the course requirements for a Degree.You will be informed about the Date and the Venue of the Conference & Convocation Program. You will also be informed about the Graduation Fees, Conference Fees and any other fee details. Ø Enrollment during any time of the year. We will send Study Material to your door-step in any part of the world if enrolled for Correspondence. We also offer all our Courses and Degrees On-line or through Internet to the International students. We send our curriculum via Email, just study and send the answers via Email / Postal Mail. 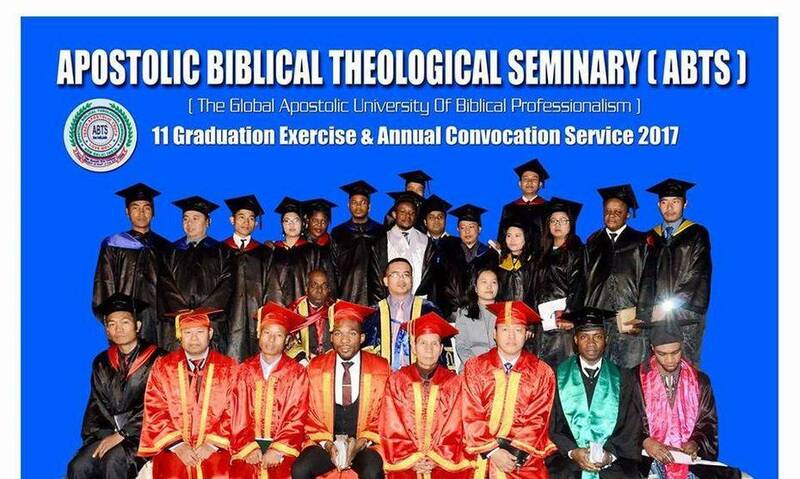 So far, the Apostolic Biblical Theological Seminary (ABTS) New Delhi has graduated many students with B.Th, Th.M. & Doctorate degrees. We have graduated many students from Australia, USA, The Netherlands, Nigeria, South Africa, China, Norway, Canada and Myanmar as well.ATS New Delhi alumni go on to serve the Lord across India and the world in a variety of positions. Graduates serve as founders or key leaders of impactful ministry programs in India, USA, Netherlands, Norway, China, Canada, Nigeria, Myanmar and Australia. What can you do with a degree from ATS NEW DELHI? · Working with para-church organizations and Christian social service programs. Most graduates work full-time in ministry in India, Myanmar, The Netherlands, USA, Canada, Australia, Nigeria, China and Norway. And some students continue to earn their D.Min. (Doctorate of Ministry) or Ph.D. (Doctorate of Philosophy) degree at ABTS New Delhi through Internet correspondence courses as well. The Apostolic Biblical Theological Seminary (ABTS) New Delhi is open to all Christians of good moral character. We are happy to instruct and train God’s Children regardless of: Race, Nationality, Color, Cultural profile, Denominational background, Class, Gender, Economic status, or Ethnic Origin. Every student is admitted to the same educational programs, rights, privileges, and honors.